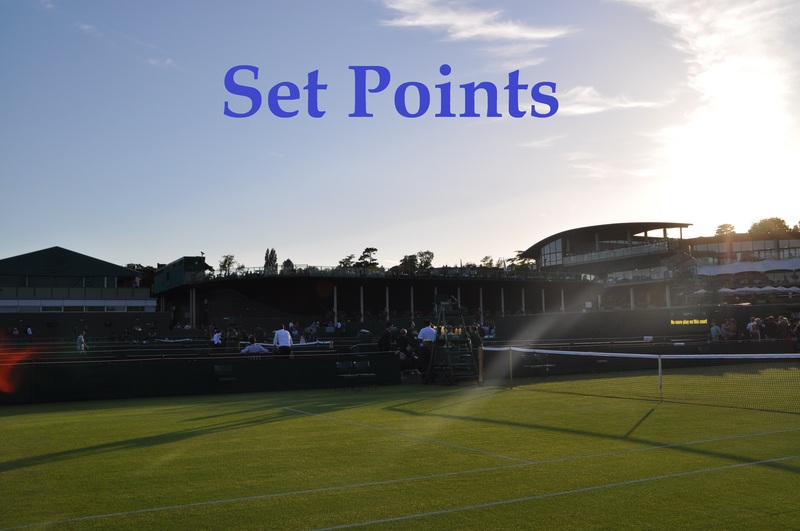 Friday was quarter-finals day at the Porsche Tennis Grand Prix in Stuttgart and once again, this is a snappy round-up of results as I was unable to watch much tennis today. In the first match of the day, Maria Sharapova enjoyed a third straight sets win in a row, fending off an in-form, Anett Kontaveit, 6-3 6-4. Sharapova failed to serve out the match but managed to break for the win in a final lengthy deuce game. Sharapova’s stats were again decent – 25 winners to 12 unforced errors! Final stats for @MariaSharapova @PorscheTennis. Sharapova will play Kristina Mladenovic in the semi-finals after the Frenchwoman continued her excellent week and year with a 6-3 6-2 victory over Carla Suárez Navarro. Sharapova vs. Mladenovic will be a fascinating semi-final for many reasons! When the whole Sharapova saga began, Mladenovic was one of the few players to speak out against the Russian player. Even after what Sharapova said in her press conference, I think this will be a fiercely contested match. No doubt, it will be Sharapova’s toughest test so far and i’d be surprised if Mladenovic doesn’t get at least a set. It will be a huge occasion though for the Frenchwoman so i’m intrigued to see if she can hold her nerve. Super excited about watching tomorrow… who you got? In the match of the day and perhaps the tournament, Laura Siegemund continued her fabulous form in Stuttgart with a 7-6(3) 5-7 6-3 upset win of the number two seed, Karolina Pliskova. The match lasted three hours and nine minutes and I killed my data to watch the second set whilst travelling home 😂. I thought the standard at the end of the second set was stunning. Pliskova produced some peak, aggressive form to win seven points in a row from 5-5. Siegemund defended admirably to save a trio of set points before Pliskova eventually levelled up proceedings. The Czech player had had two set points when serving for the first set at *5-3. After seeing Pliskova step it up to win the second set, I thought it was a magnificent effort from Siegemund to win in three sets. I’ve had issues with Siegemund and some of her gamesmanship tactics but I cannot deny she is super fun to watch on clay. Her game is so dynamic and refreshing, and she is such an immense competitor. The Stuttgart clay is perfect for her game and her record at this tournament over the past two years has been extraordinary – she has won ten matches, nine in straight sets (the win over Pliskova was her first three set win in Stuttgart). Furthermore, five of her six top ten (completed) wins on tour have come in Stuttgart. Final stats for @laurasiegemund @PorscheTennis. In the final match of the day, Simona Halep swiftly progressed past Anastasija Sevastova, 6-3 6-1 in just 59 minutes! I like how Halep has quietly crept through the draw with the attention mostly focused elsewhere. In the snippets I saw of the match, she was moving beautifully and playing aggressively, continuing on from her superb win over Johanna Konta in Fed Cup last weekend. So the second semi-final will be a rematch between Halep and Siegemund – the pair played last year in Stuttgart with Siegemund winning, 6-1 6-2. Halep was struggling with an injury in Stuttgart last year. Siegemund has played two gruelling matches in two days; however, it was a similar case in Charleston earlier this year where she demonstrated her fitness to keep coming back each day. Halep has looked superb this week but i’m interested to see whether she can maintain this level against an opponent that is likely going to throw the kitchen sink of variety at her on court and then some. Again, I could see this one going either way. Siegemund has this fearlessness about her that shines bright in Stuttgart; however, my hunch is that a rejuvenated Halep will rise to the occasion. And finally, the first player announcements for the Aegon International in Eastbourne have been unveiled – no surprises so far! 👍 @Cibulkova, @ARadwanska & @KaPliskova are returning to the #AegonInternational Eastbourne! April 28, 2017 in Set Points, Stuttgart, WTA. Standing by Halep to win the tournament. It looks as though Svitolina is racing to her third title of the year in Istanbul also. Hopefully her clay season this year will be successful. I’d probably still stick by Simona but I think it’s pretty close between all four left. Noticed Svitolina having a solid week in Istanbul, have you watched any of her matches? I am hoping for a Sharapova/Halep final as I think it would be an entertaining one and it will also mean that Sharapova will not need a wild card for the French Open and Wimbledon ( if I have understood the situation correctly from the video of her interview ? ) so that will save any controversy about whether she should have one or not. Good to see Halep playing well again and hope she can continue her improved form as I enjoy watching her play. Sharapova-Halep would be awesome, also think would Sharapova-Siegemund, a battle of the wildcards would be fascinating! A win today gets Sharapova into qualifying for the French and Wimbledon I believe? I think Mladenovic is ready to take this one. Hopefully she is ready for all the noise, that will be interfering with her play (from the other side of the court). I haven’t seen Halep play yet, but she seems to be in fine form. I think both matches will be very entertaining. I am hoping for a Mladenovic/Siegemund final, to go with the rest of the year (so far). Same, i’m really looking forward to both matches. It’s a big match for Mlads and she’ll be up for it no doubt, whether she can bring her A-game we will have to see. Notes:— The pro odds makers have the same results as your pole.—-That Eastbourne trophy bowl looks almost big enough for the diminutive Domi The Cib to take a bath in.—-Watched a little of the 16y/o Yastremska vs Cepelova where The Yas up 6-2,5-2 was dominating with power and placement. Then the wheels came off (emotions??) and the steady Cepelova won 2-6,7-6,6-4.—-In the Prague and Rabat tournaments there will be a total of- 64girls64-in the qualies!! Yep the poll leaders are as i’d expect although I expected both to be a little more even. My eyes lit up at that Yastremska-Cepelova result, wondered if “The Yas” had had a second set lead! Todays starts WTA Prague, qualification is full of great names, however the weather is just so bad, hopefully there will be no snow like last year. I can see sun out there, so I hope they could play the whole day. But still 9 degrees..
Just saw the line-up, very impressive. Hope the weather holds up but that doesn’t sound too promising! I hope Halep can win this tournament to give a boost in confidence. Siegemund the little hometown Stuttgart girl that could. I’m amazed that Siegemund who didn’t break into the top 100 rankings until she was 27 is now playing very good tennis. Was Siegemund’s problem control of her emotions? Both the pro odds makers and your readers were wrong on both matches. I don’t want to, but I have to go with The Mlad over The Sieg in the final. Yep Siegemund has been a late bloomer. I’m surprised that her game hasn’t really translated to other surfaces too. And I was wrong on both two as well, I do love the WTA! Hmm i’m actually leaning more to The Sieg. Well Siegemund has a… not so good reputation… apparently she’s very difficult on and off the courts.